After capturing M39 I slewed the telescope to another deep space object. Specifically to an open cluster Messier 39. 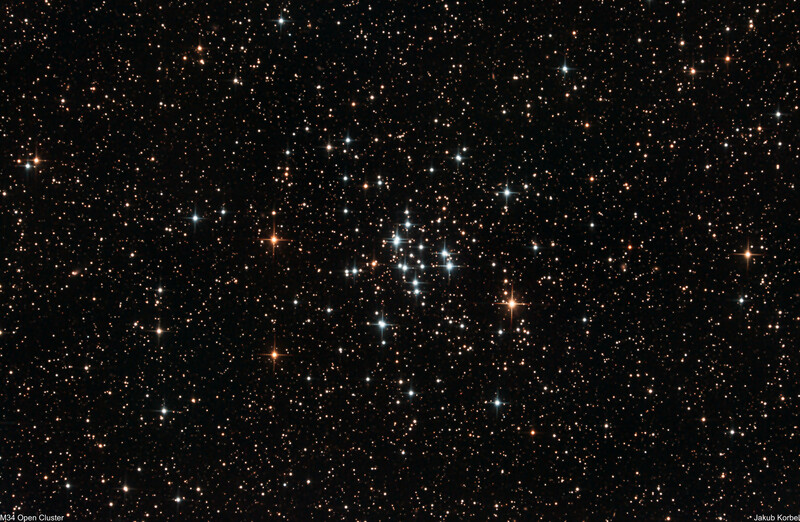 This cluster is located in constellation Perseus and it is approximately 1400 light-years away from Earth and it has diameter roughly 24 light-years. The picture is a stack of 72 two minute subframes, which means 144 minutes of total integration time.